Having been a Mac user since 1984 and having gone through multiple keyboards since, including the OEM thin line keyboards of late and a couple from third party makers, I have missed the early mechanical keyboards of yesteryear. I find that the soft clickety-clack of this keyboard and the press-play distance of the keys allows me to type with fewer mistakes and keeps my fingers in place more easily. I was concerned about the reports of the standard keyboard by Matias being too loud, so I took a chance on this quiet version. I am very happy. Since I type all day for a living, having precise feedback to my fingers is extremely important. 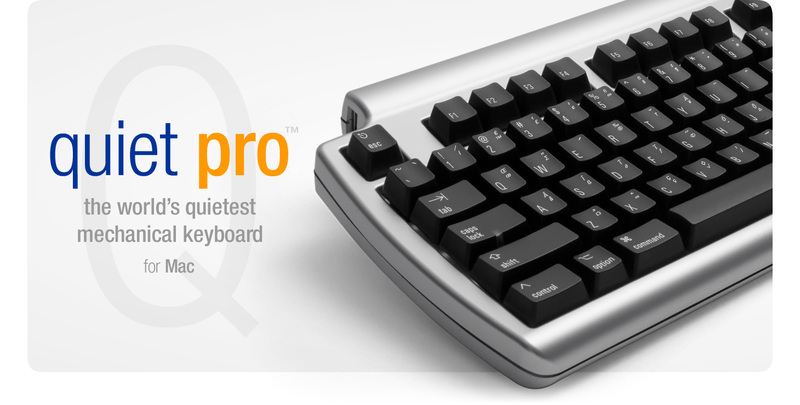 I would heartily recommend this keyboard to anyone who misses the feel of the old mechanical style keys. My only wish is that it could have been a Bluetooth version, but since it also has hubs for USB, I cannot complain too much.